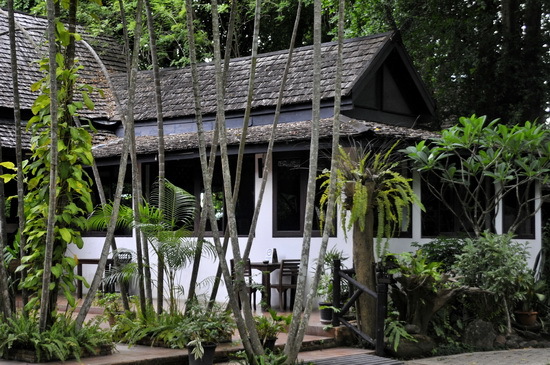 One of Lampang’s plushest accommodation options, Lampang River Lodge is located, as the name suggests, on the bank of the Wang around 10 kilometres southwest of the town centre, off main Phahonyothin Road. 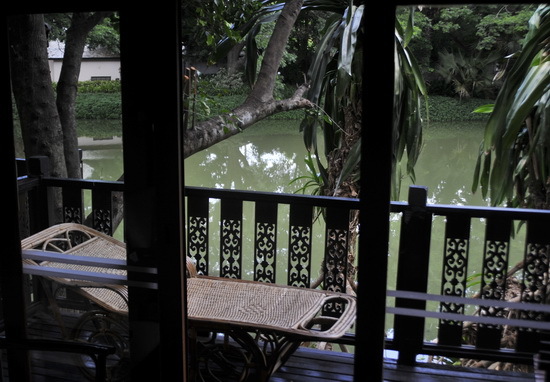 The resort-style hotel is set in spacious gardens framed between a lily pond and the river. The gardens are well laid out, with plenty of mature trees and tropical flower beds, while the lodge and rooms are well maintained as well. Average rating 7.3 from 454 reviews. Staff were helpful and friendly when we stopped by, speaking reasonable English, and the swimming pool was welcoming whie the restaurant/bar areas tempting. There’s a choice of three of the latter: a very nice wooden decked terrace aside the pond, which is great for a morning coffee, though you’d need a bit of mozzie lotion in order to enjoy an evening cold one, a charming riverside sunset restaurant which oddly enough is only open for breakfast, and a main restaurant for lunches and dinner. A buffet breakfast is included and while the main restaurant serves decent food it is somewhat overpriced — staff didn’t mind pointing out cheaper local alternatives in the vicinity for us. The rooms are chalet-style wooden constructions, with a choice of river, pond and garden view positions, and all come with private balconies. The resort blurb claims they are ‘Lanna style’, which seems to mean wooden furniture and a rustic feel, but they are comfortable enough without being flashy. 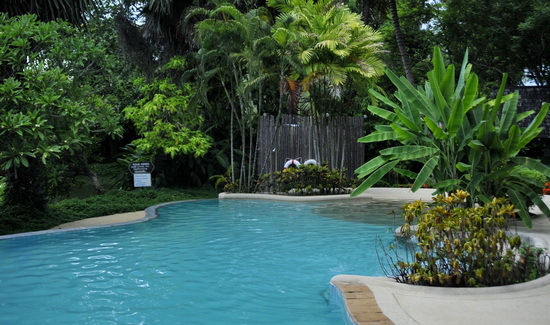 There’s WiFi, air-con, cable TV, hot showers and the deluxe chalets even come with Bali-style bathrooms and tubs. The superior rooms are large but lack a water-side situation while standard rooms, aka ‘Lanna Cottages’ are smaller rooms with garden-only views and no fridges. Here’s our only qualm with River Lodge: it is seriously overpriced. You’re really paying for the whole River Lodge experience, which is the scenic, tranquil setting amid lush gardens and the pleasant lily pond area, swimming pool and level of service. If you see it in those terms, then this is a delightful spot to stay — if you’re just looking for a bed for a night, forget it. They do offer occasional specials and packages on their website and certainly for low season you can try for a discount. The resort is a little way out of Lampang, and while they will happily arrange taxis or songthaew transport for you, it’s going to cost at least 200 baht for a one-way trip into town. To compensate, bicycles are available to guests to explore the area, but at a slightly steep rate of 100 baht for a half-day or 200 baht for a full day. 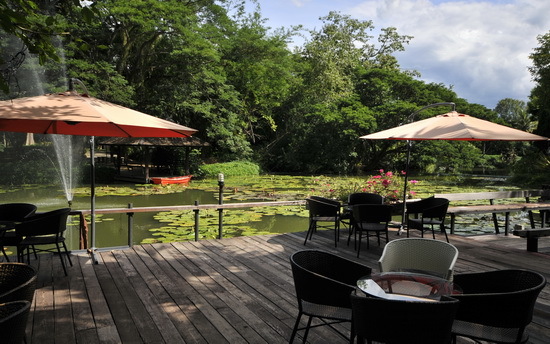 We suggest Lampang River Lodge as a great place to splash out for a couple of days. Relax by the pool, try out their Ayurvedic massages, sample the local specialities in their restaurant and explore the area by bicycle. It’s a great spot — just not for the budget conscious. 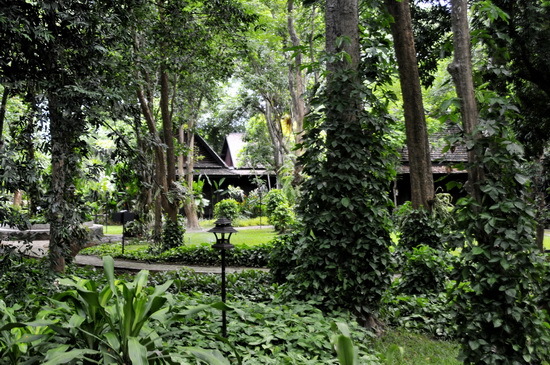 Check rates at Lampang River Lodge on Booking.com.